Feelings of self-attachment and insecurity can cause us to be reactive and sensitive to our surroundings. Hurt feelings can lead to a pattern of resentment that prevents us from opening to ever-deepening love and communication with our lovers, friends and family. 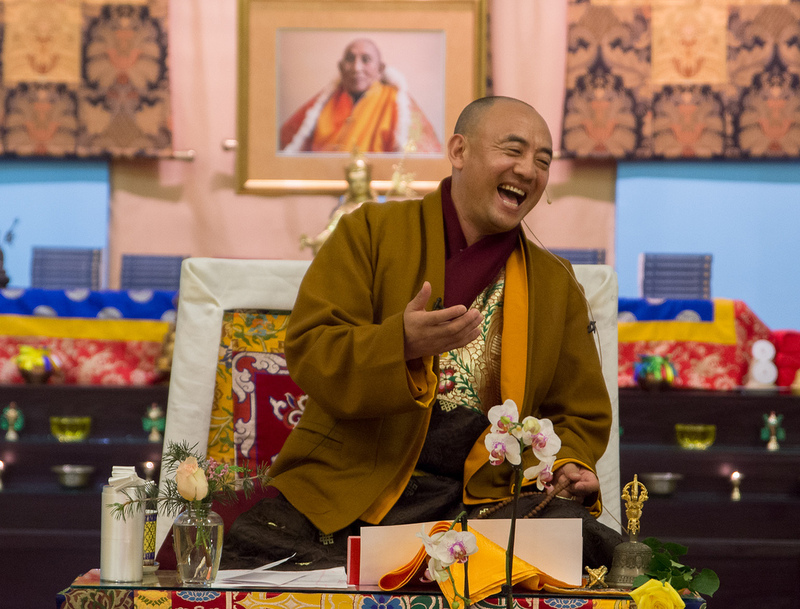 Join Anyen Rinpoche in a special talk about using the Buddhist Teachings to let go of old wounds, forgive ourselves and others, and find the compassion residing naturally within ourselves. 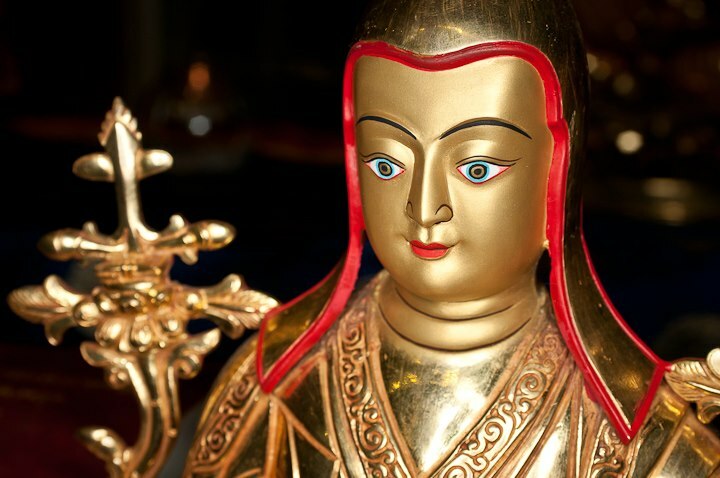 The foundation of all Buddhist practice can be found in Shantideva's Way Of The Bodhisattva. This profound guidebook shows us how the true Mahayana practitioner cultivates the mind of enlightenment for the benefit of all beings. From the generation of renunciation and the sublime qualities of love, compassion, generosity, and patience, we are guided step by step to the stronghold of Ultimate Wisdom. 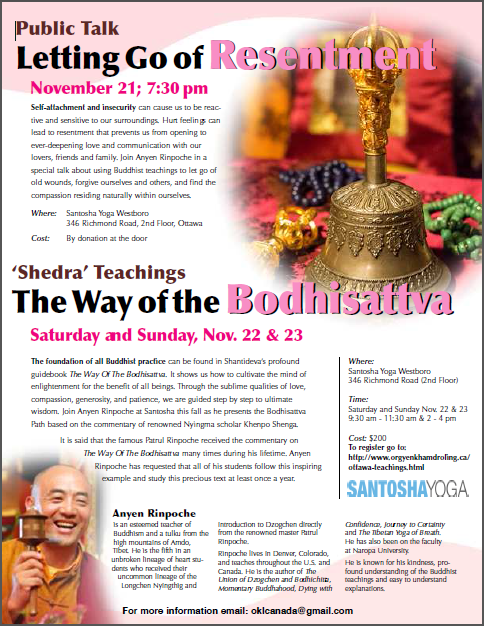 Join Anyen Rinpoche at Santosha this fall as he presents the Bodhisattva Path based on the teachings of renowned Nyingma scholar Khenpo Shenga. It is said that Patrul Rinpoche received the commentary on The Way Of The Bodhisattva many times during his lifetime. Anyen Rinpoche has requested that all of his students follow this inspiring example and study this precious text at least once a year. Suggested donation: 200$ for the full weekend or 100$ for one day only. To register for the Shedra, please click on the PayPal button below.